Katrina, who was seen in Bengali attire with a saree and jewelry, was at the song shoot for her upcoming film. Aanand L Rai’s Zero, featuring Shah Rukh Khan, Katrina Kaif and Anushka Sharma, is no doubt one of the most-awaited films of the year. Even whispering about the film creates an immense buzz amongst the fans. And today, we have little information that might turn into a gossip. 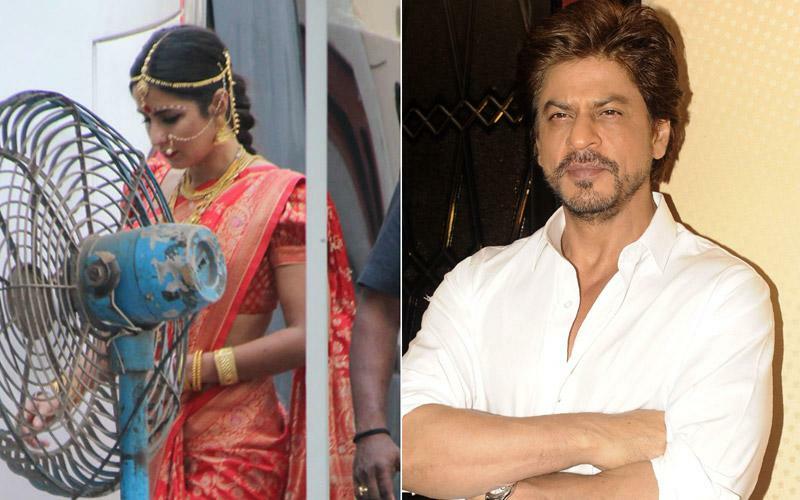 Recently, a kanjeevaram saree clad Katrina was spotted on the sets of the movie looking gorgeous as ever and that got people talking about the particular look. Well, according to a leading daily, Katrina along with Shah Rukh shot for a catchy dance number for the movie. A source revealed to the daily, "A special sari look for Katrina was designed for this song. In the film, she plays an actress, who is dealing with life, post a terrible break-up and becomes a chronic alcoholic, whereas Shah Rukh plays a midget who is besotted by her." Post the shoot, Katrina headed to London to spend time with her family and complete some work commitments. We all know Zero is SRK’s ambitious project and he has put his blood and sweat to make this memorable venture, but giving us a little more detail, Katrina says, "Zero is also a film which will have something for everyone. All of us will come out of theatres, with a different take on life." Zero is slated to release on 21st December 2018. Katrina Kaif and Varun Dhawan’s upcoming dance film to be made in 4D? Katrina Kaif agrees to publish her memoir, tentatively titled, Barbie Dream?